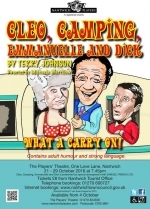 A sharp and hilarious biographical play based on the life of â€œCarry Onâ€ star Sid James. â€˜Carrying onâ€™ in the great tradition of British comedy, Terry Johnsonâ€™s play takes some familiar faces and gets a bit familiar with them. Filmingâ€™s not as glamorous as itâ€™s cracked up to be. Itâ€™s a miserable business if your caravan leaks or your co-starâ€™s a manic depressive, and those younger women arenâ€™t so young any more. Carrrying on with jokes, innuendos and asides, this play tells of changes as the popularity of the genre fades. It premiered at the National Theatre, London in 1998 starring Geoffrey Hutchings as Sid and was produced under the TV title Cor Blimey! â€œâ€¦every bit as puerile as any fan of low comedy could possibly wish. Directed by Michaela Warrilow, performances will be at 7.45pm on 21 - 29 October, 2016. Auditions will be held at the Theatre at 7.45pm on Tuesday 12th July. Non-members may audition by joining and paying membership on the night. 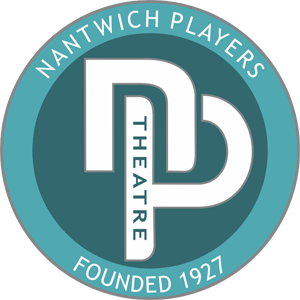 Tickets priced at Â£8.00 will be on sale from Nantwich Tourist Office (01270 600727) or on-line at www.nantwichtowncouncil.gov.uk from Tuesday 4th October 2016.